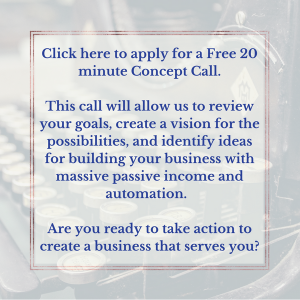 Are you ready to get more targeted leads into your business? Do you want to increase your income by bringing in clients that are genuinely interested in what you have to offer? This is the beauty of Facebook™ and Instagram™ advertising. We can work together to create a Facebook™ and/or Instagram™ advertising campaign to find the exact clients that are seeking your products and services. Ad creation can be done many ways, but you want it done well. You want results. And I’m here to deliver. We have experience finding ways to not only halt the scroll, but create images and copy (a.k.a. gorgeous words) that lures your audience in, create social proof, and lead the right fit clients to the sale, while making sure they never forget about you. To reach out to me to inquire about your customized ad campaigns, simply fill out this form to apply. I’ll contact you for a free concept call to go over your needs and goals to bring in loads of leads, all anticipating your next move! DISCLAIMER: We love running ads, but we will review your sales funnel to be sure it’s in line with ads that get conversions. So, we need to review and approve the funnel before taking on ad clients… or we’ll suggest changes that need made within the funnel in order to get you the results we love to achieve.